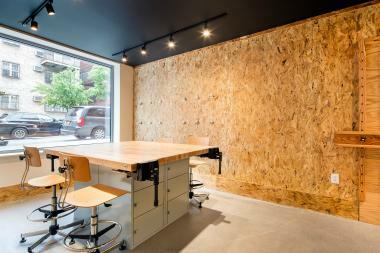 A new rental building at 180 Franklin Ave. offers an art workspace, co-working area and library lounge for tenants. BEDFORD-STUYVESANT — A new apartment building on Franklin Avenue is encouraging residents to express their artistic sides. The 118-unit residence at 180 Franklin Ave. near Willoughby Avenue offers a music rehearsal space, art studio and a gallery for tenants, according to real estate company Citi Habitats. “This part of Brooklyn brings a lot of creative types, creative professionals, and a lot of students from Pratt,” said Dave Maundrell, Citi Habitats’ executive vice president of new developments for Brooklyn and Queens. The amenities aim to spur community involvement and “creating a lifestyle within the building,” he added. Residents can use a library and co-working lounge on the first floor and work will be featured in a 600-foot gallery space, Maundrell said. 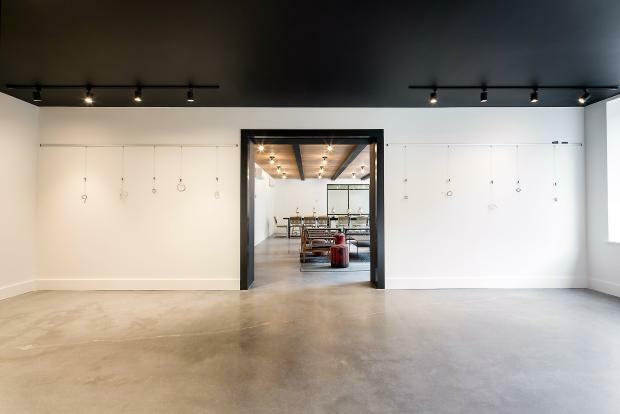 An art studio gives room for woodwork, 3D-printing and other types of hands-on activities, and the building’s lower level features a gaming lounge with a pool table and TV. The residence offers studios starting at $2,000, as well as one-bedroom, two-bedroom and duplex units.